Alec Bradley debuted perhaps their most popular brand to date in 2011 with the fan-favorite Black Market. While Alec Bradley Cigars has become well known over the years for their usage of Central American tobaccos, Black Market introduced a diverse blend of tobaccos from four countries, giving it a completely unique profile. 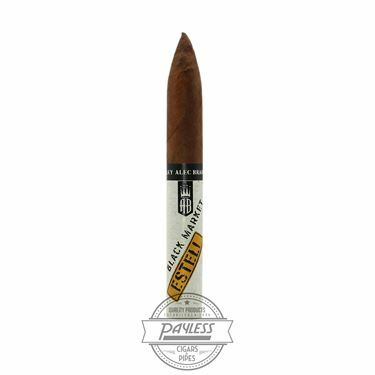 Now Alec Bradley has provided the same overall feel, while turning its attention towards the fiery qualities of Nicaragua’s Estelí region—introducing Black Market Esteli by Alec Bradley. 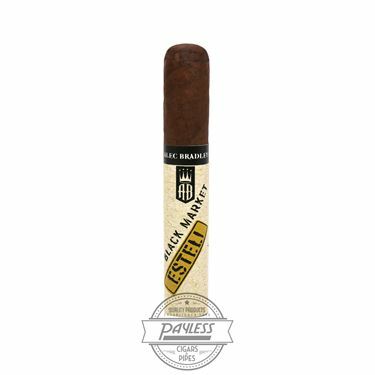 Black Market Esteli is rolled at the famed Plasencia Cigars factory in Nicaragua, using a blend build around Estelíano tobaccos to deliver a medium/full experience with fiery, black pepper-forward nuances. The full blend incorporates a Nicaraguan filler, a dual binder of Nicaraguan and Honduran leaves, and a dark and oily Nicaraguan wrapper. Expect big flavors of earth, black pepper, cedar wood, corn chips, and refreshing bursts of cocoa and espresso throughout.